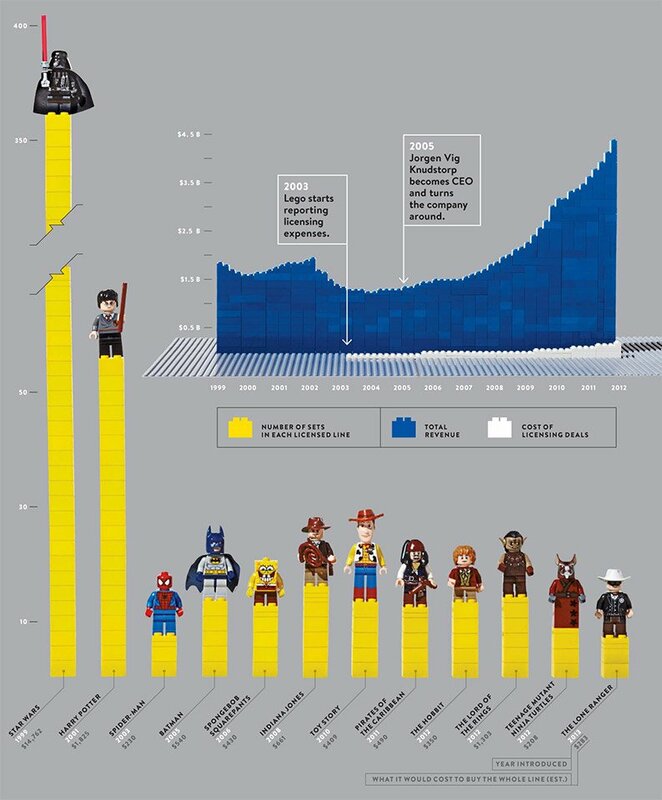 Wired takes a look at how LEGO’s licensing deals with icons like Star Wars, Harry Potter, Batman and The Lord of the Rings have helped propel the toymaker from a downturn into the world’s most profitable toymaker. It’s interesting to see now only the revenue growth, but the graphic also shows the number of pieces available under each license but the estimated cost of what it would take to purchase the entire line. Would you believe $14,762 for the Star Wars LEGOs? At just $1,303, The Lord of the Rings sets are a relative bargain.